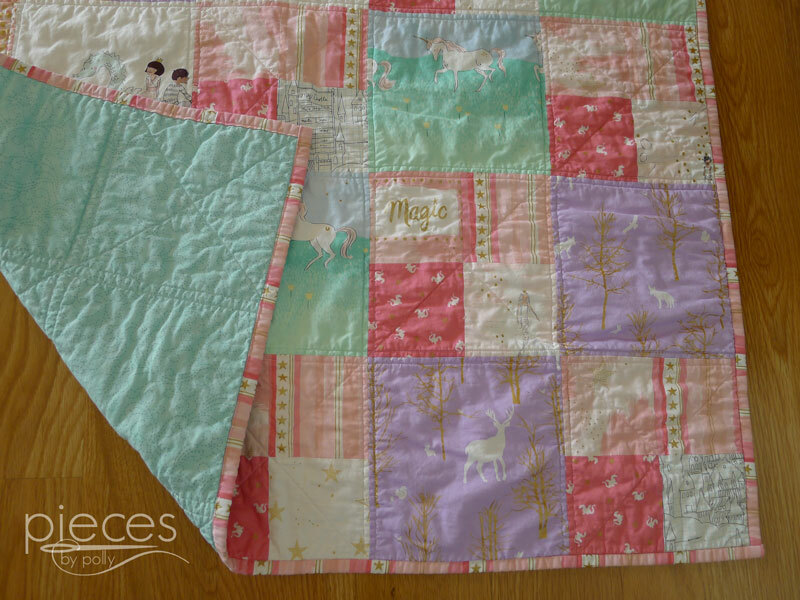 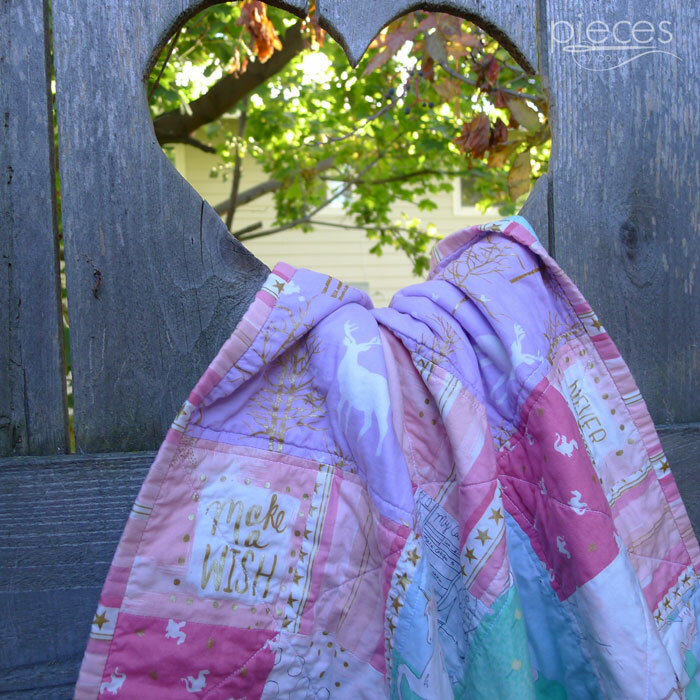 This quilt is finished and ready to ship and would make a perfect baby shower gift or Christmas gift for a special child, baby, or expecting mom in your life. At 40" x 56" prewashed, this is my favorite size quilts to give to babies since it fits well over a crib mattress and will continue to fit the child well for years to come. 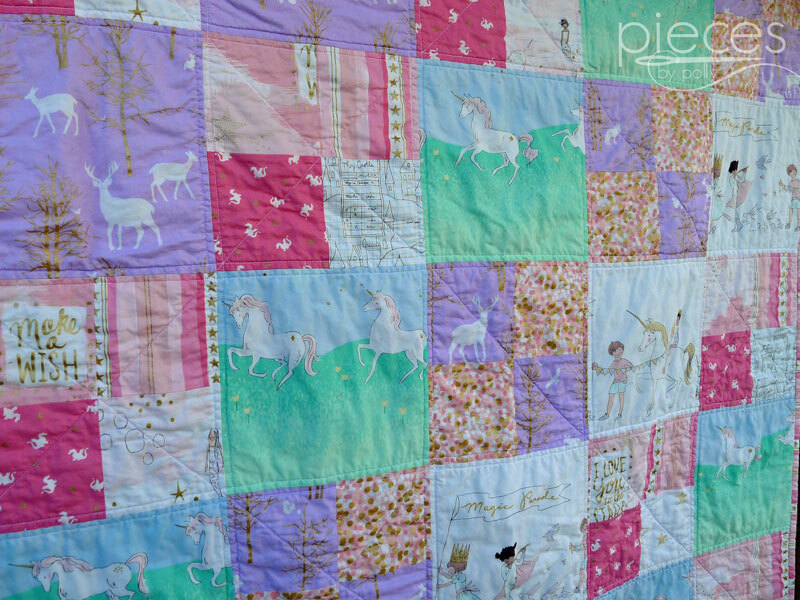 This is still the size my small 8-year-old loves best. 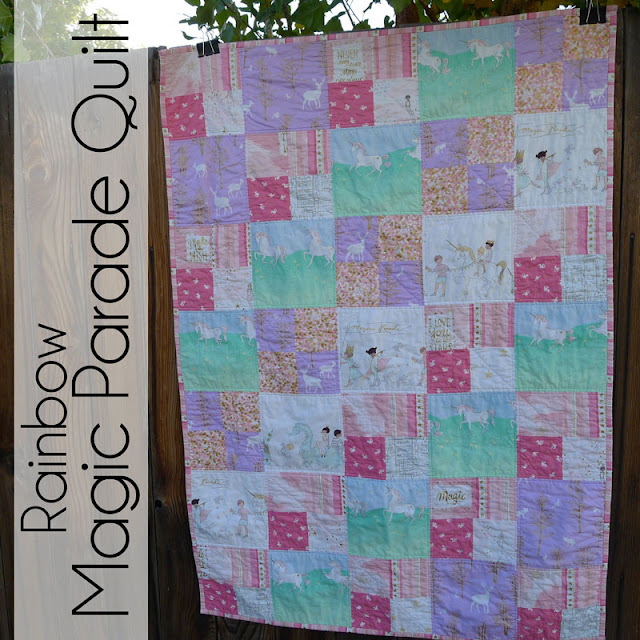 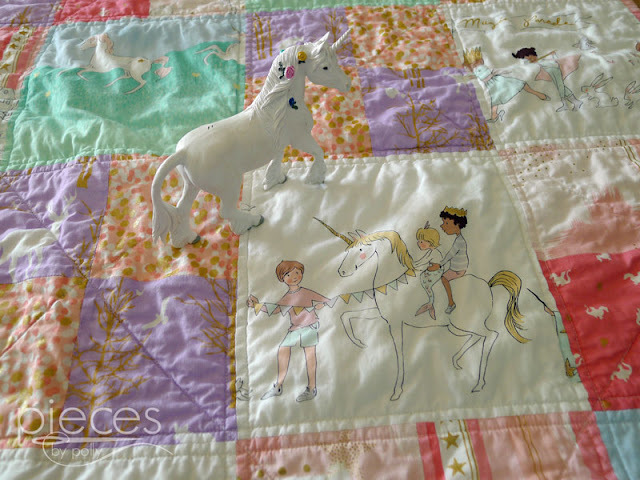 Purchase this Rainbow Sarah Jane Magic Quilt here. 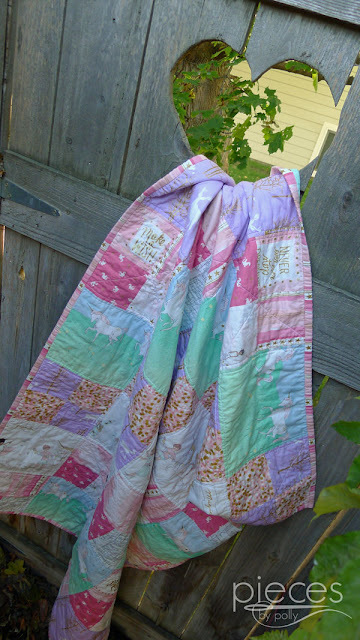 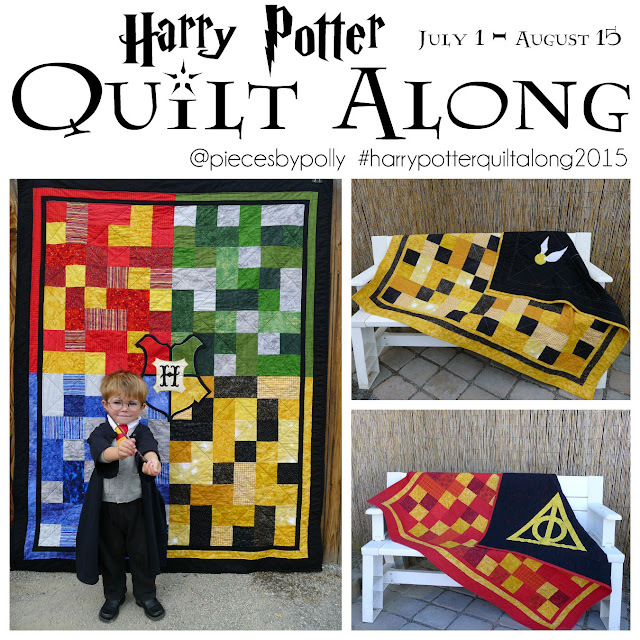 I also offer made-to-order this quilts in other color combinations using Sarah Jane Magic Fabrics. Sarah Jane is one of my absolutely favorite fabric designers and I especially love her Magic Collection. 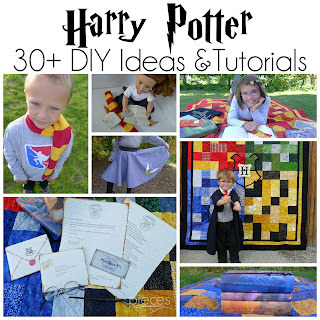 I feel like it's "Harry Potter for Babies and Little Ones"...So much magic and imagination, but a bit more innocent than Harry Potter. This is a variation on the pattern I designed for the Sarah Jane Magic blog tour. I wanted this quilt to have a bit more of a Rainbow-y feel, so I used fabrics from both of the Sarah Jane Magic colorways as well as adding in some of Violet Craft Brambleberry Ridge fabrics since the doe and stags in the purple fabrics remind me so much of the patronuses that are so important in Harry Potter. 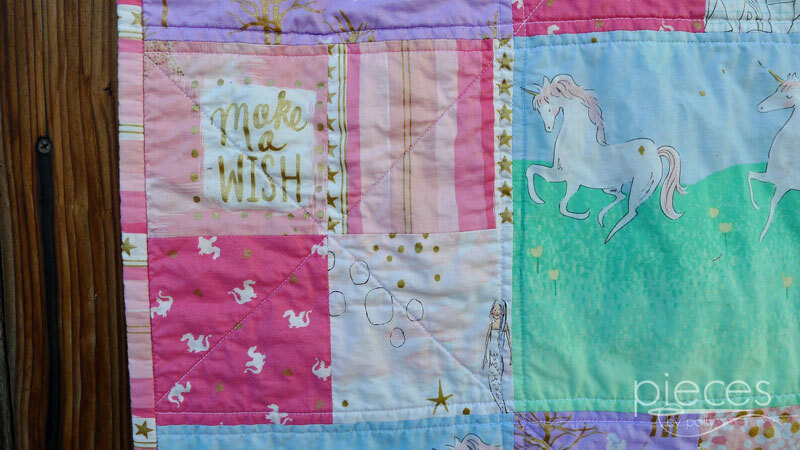 And one of my favorite things about this quilt is the sweet sayings that pop up in a few places in gold. 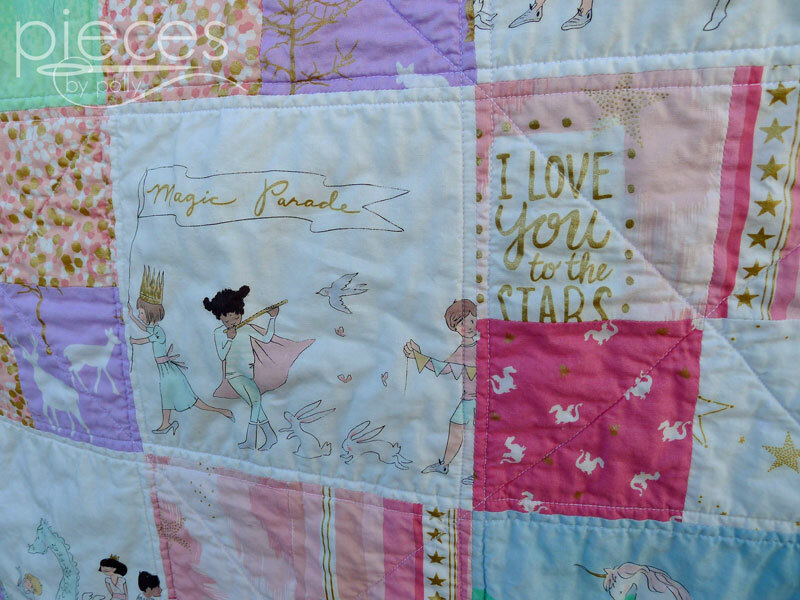 "I love you to the Stars..."
The inside of the quilt has 50/50 Cotton/Bamboo batting...my favorite batting because it's extra soft and gives the quilt and instant worn-in feel. The quilt was washed after being completed so that the pictures show it's true character and for maximum softness to remove any starch/sizing from the fabric. 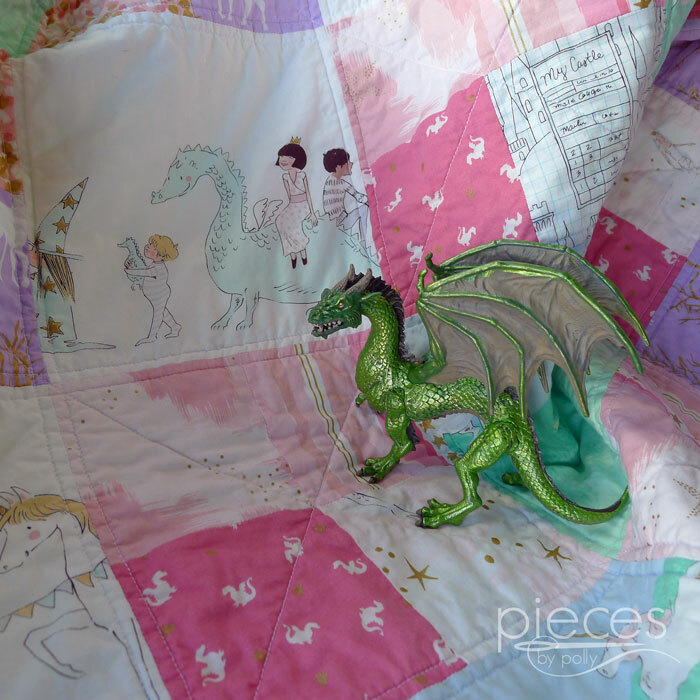 Binding is machine sewn for extra durability and the quilt was machine quilted by me.